Transforming the immense potential of workforce analytics into reality isn’t easy. Pioneering practitioners have learned crucial lessons that can help you succeed. The Power of People shares their journeys—and their indispensable insights. Drawing on incisive case studies and vignettes, three experts help you bring purpose and clarity to any workforce analytics project, with robust research design and analysis to get reliable insights. They reveal where to start, where to find stakeholder support, and how to earn “quick wins” to build upon. You’ll learn how to sustain success through best-practice data management, technology usage, partnering, and skill building. Finally, you’ll discover how to earn even more value by establishing an analytical mindset throughout HR, and building two key skills: storytelling and visualization. 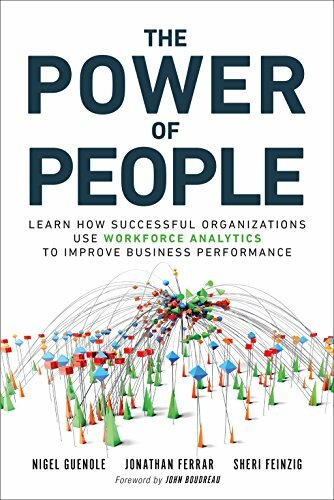 The Power of People will be invaluable to HR executives establishing or leading analytics functions; HR professionals planning analytics projects; and any business executive who wants more value from HR.